The Erica Synths Fusion Delay, Flanger, Vintage Ensemble is a multifunctional Eurorack module that utilises BBD chip-based effects and an integrated tube overdrive in the delay output. The Erica Synths Vintage Ensemble provides you with a range of vintage-style effects in a robust and ergonomic module. One of the most unique features is the Vintage Stereo Ensemble effect, that gives you the ability to create a moving/spatial sound from a range of tone generators. 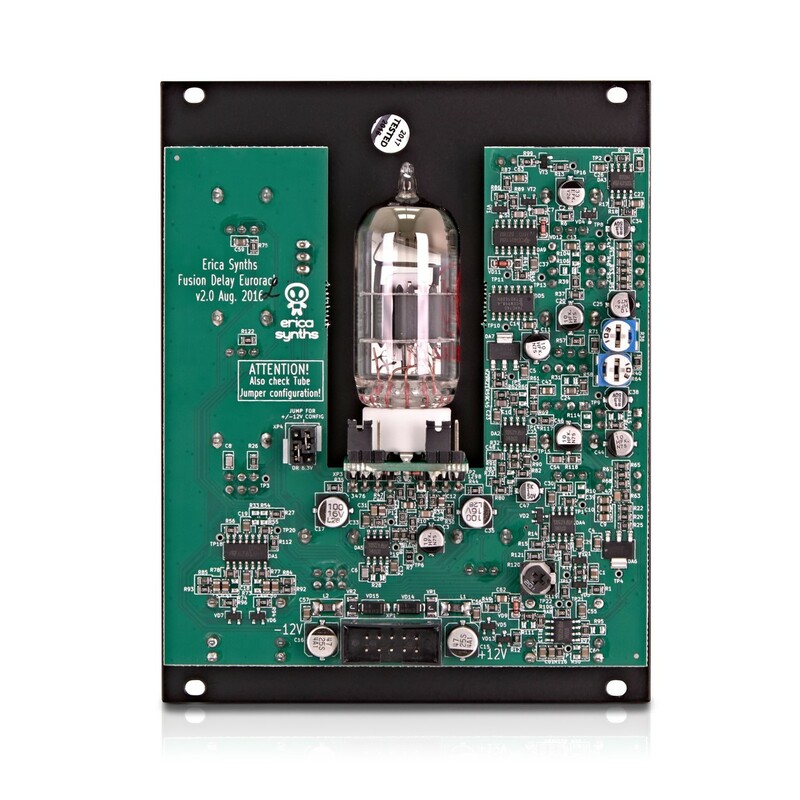 The integrated vacuum tube provides added warmth in the delay output and feedback path, for vintage-sounding tones. 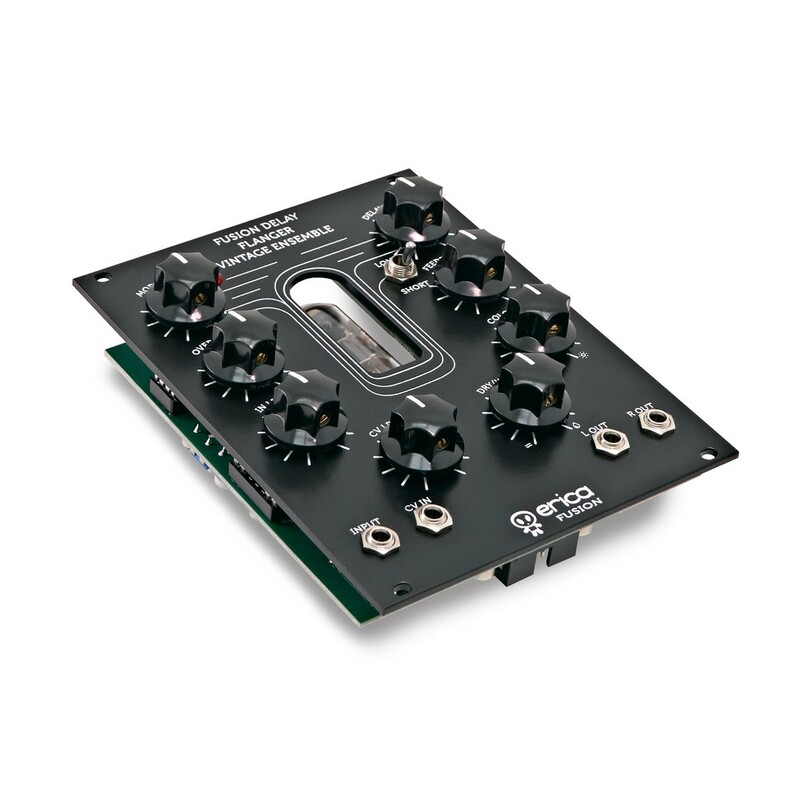 The module also includes a passive lowpass filter for added punch on the low-end, ideal for sub-bass sounds. 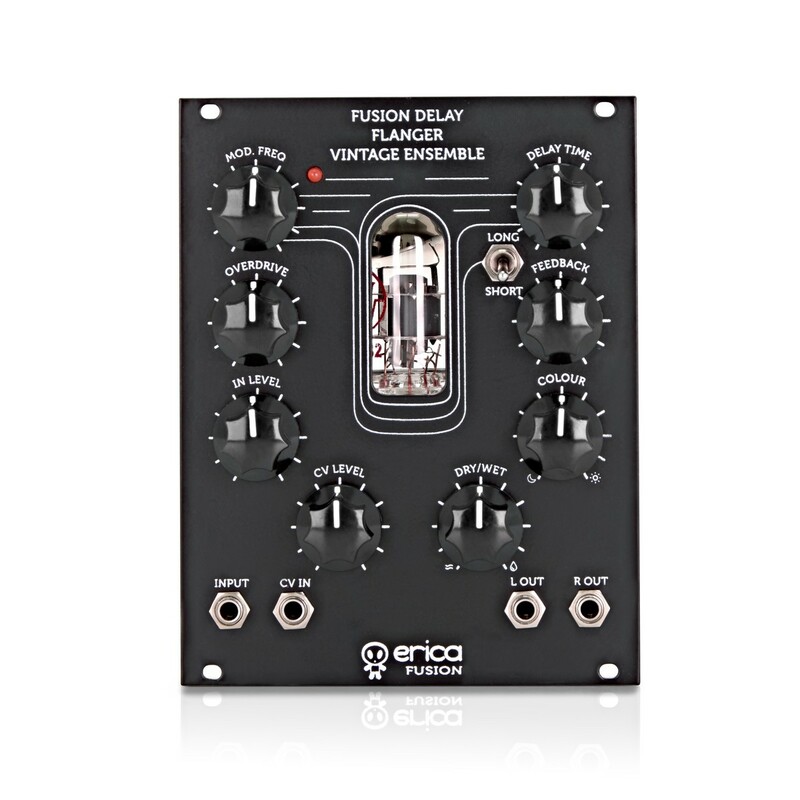 The Erica Synths Fusion Delay & Flanger Module combines two, premium-grade vintage-style effects into one robust Eurorack-format module. The versatile module gives you the ability to utilise both effects, with the Delay output even featuring its own Vacuum tube for added warmth and punch in the low-end response. This multifunctional analog effects module features BBD chip-based effects with the adjustable tube overdrive in the delay output & feedback pack. It also included an integrated low pass filter which allows you to bring out the best for your low-end response. The delay section can be used for a range of applications, highly useful for VCO, FM and DCO modules. The flanger effect also adds as sense of movement to your sounds, with a range of controls that gives you access to every part of your effect. The most unique features that the Eirca Synth Fusion Delay & Flanger Module includes is the Vintage Ensemble Stereo effect. This unique effect is comprised of both the Delay and Flanger parameters being blended together using the Dry/Wet attenuation potentiometer. The result is a widened effect, with the lowpass filtered out of the phase signal. The 2 BBD chips are employed in 1024 and 4096 stages. The module also features a long/short switch for toggling the delay time. There is also Feedback and Colour attenuators for getting the most out of Delay effect. 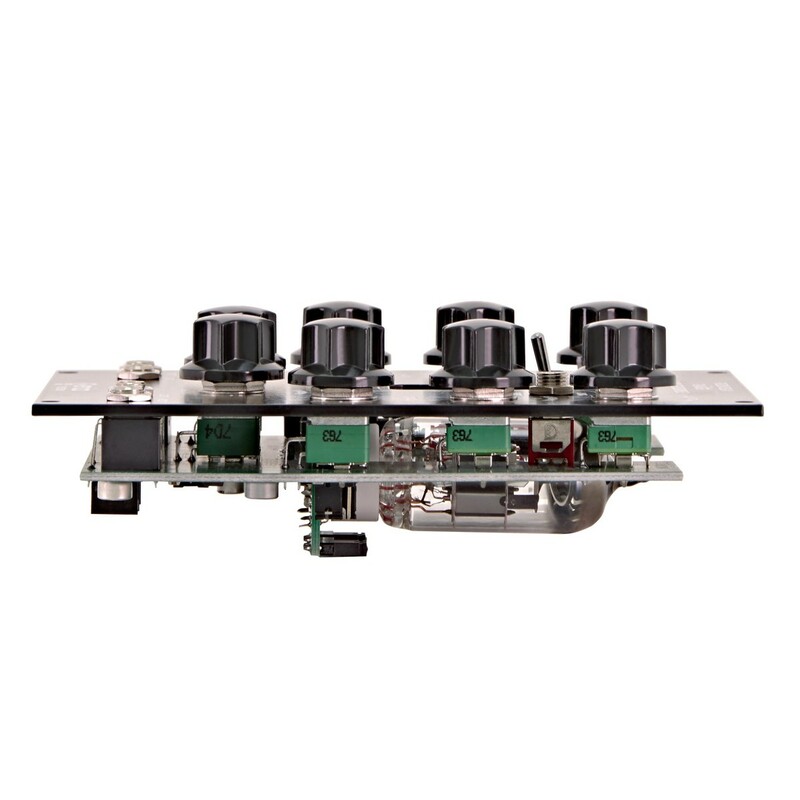 The robust Eurorack-format module features an ergonomic design with the integrated Vacuum Tube featured in the middle of the unit. The Erica Synths Vintage Ensemble is ideal for a range of external modules including synth and sound generating modules. The ergonomic layout features large attenuators located on either side of the module, allowing you to make quick and easy changes on the fly. The attenuators themselves are large and in the style of vintage knobs, with a nodule design that gives you added precision. 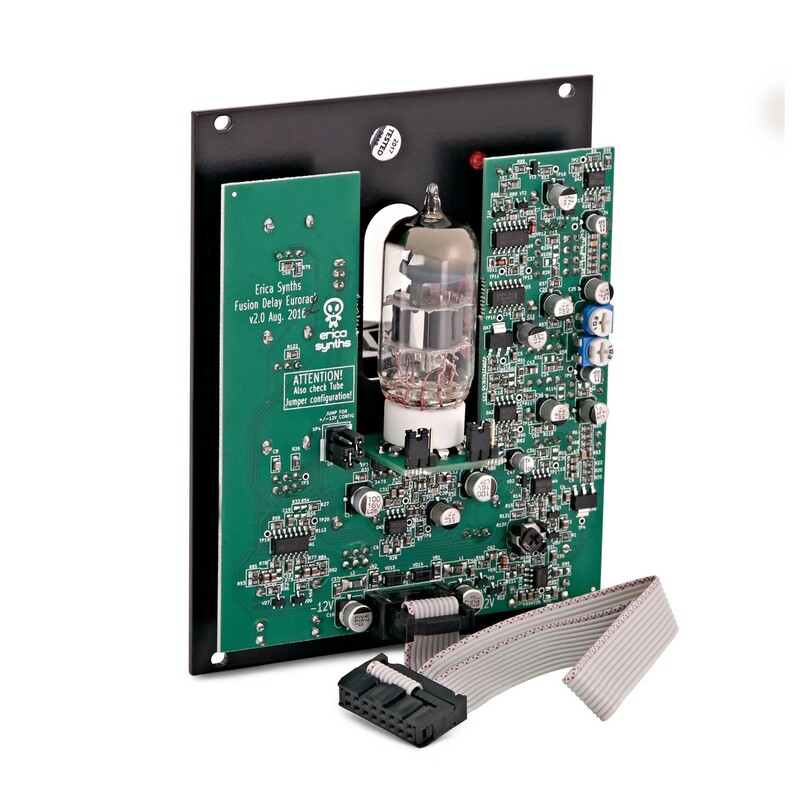 The premium-grade circuitry and incorporation of the Vacuum Tube ensures you achieve stellar audio fidelity, bringing out the most from your input sources.